This astronomical delight also coincides with the spring equinox. All hail the Super Worm Moon! We've had quite the year already thanks to that beautiful night-light high in the sky. From the Super Blood Wolf Moon Eclipse in January to the February Snow Moon, it's really been quite a show. And there's one more left to go! Meet the Super Worm Moon, rising on the night of March 20 to welcome a new season. This March supermoon is named the "Worm Moon" because this time of year is typically when the ground begins to thaw and earthworms make their topside debut. A supermoon occurs when the Earth is closest to the moon’s perigee, which is the closest point of its orbit to Earth. This results in a huge-appearing moon hanging in the sky to dazzle us all, appearing around 16 percent brighter than an average full moon, as well. But wait, there's more! For the first time since 2000, the March full moon also falls on the spring equinox. It also won't happen again until March 2030. This year's equinox officially arrives at 5:58 p.m. EDT on March 20, heralding the arrival of spring in the Northern Hemisphere. We can all look forward to increasingly warmer days as the midday sun begins its climb higher and the days get longer. The best viewing of a supermoon is just after moonrise when the moon is closer to the horizon. If you hope to catch the moon on the rise, remember that supermoons are brighter than most, making it harder to take a picture of, but keeping your camera stable with a tripod, using a low ISO, and setting a medium aperture in DSLR cameras will likely yield your best results. This month, you will also have a chance to see a very elusive astronomical phenomenon: the zodiacal light. About an hour after sunset on March 21 through the next two weeks, skywatchers can catch what has been called the false dusk. The zodiacal light is a pyramid-shaped beam that often looks like far-away city lights. It actually is the result of sunlight reflecting off cosmic dust suspended between the planets. Now, how's that for cool? Check out earthsky.org for more info and pictures! What do you think? 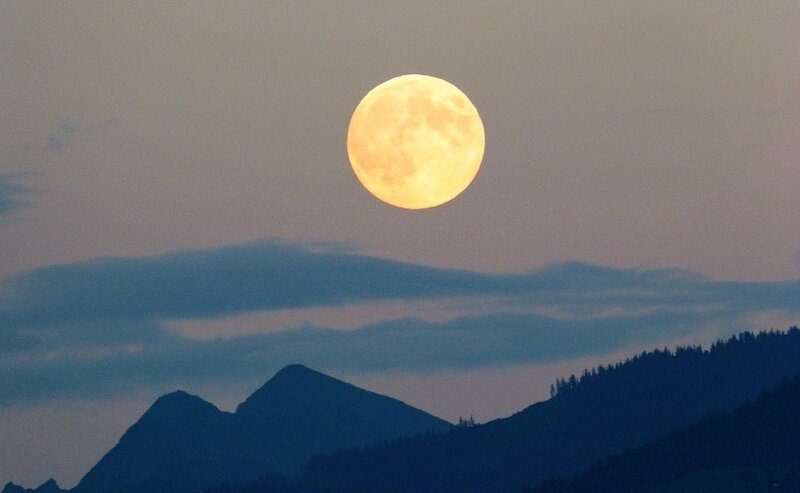 Share your photos of the supermoons with us in the comments below.